Hey My Hard Water Friends! Remember to Fish Safe & Fish Strong. ALWAYS double check ice thickness! Happy Fishing! Hey You Hard Water Freaks! Remember to take all safety precautions when ice fishing and ALWAYS double check ice thickness! Happy Fishing! Have Your Tournament Or Derby In The iFish App! 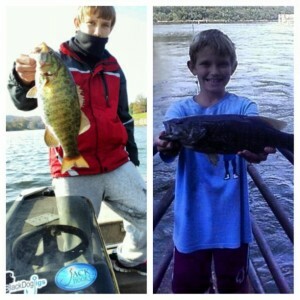 Do you have an upcoming tournament or derby and want to get the word out to other anglers? We’re open to adding any tournament or derby directly into the iFish App! If you’d like your tournament featured, send me all the details, either in PDF file or not, as well as a contact name and number people can reach you if they have questions about the tournament. E-mail me at Stephanie@AppsForAnglers.com & Happy Fishing! Want To Fish With Bob Izumi?! Do you want to win an all expense trip for you and a friend to fish with BOB IZUMI at Bark Lake in Central Ontario? All you have to do is purchase any Phase Guard 4 Ethanol Fuel Treatment product at Canadian Tire and you could win! Contest closes November 30, so you have two days to get in there for a chance on this great prize! Follow this link for details. Happy Fishing! We’ve just added new lake contour maps to Illinois, Iowa and Connecticut. These maps show the depth of the lake, and on certain maps even show boat launches. These handy maps can be found in the “Downloads” section when viewing a lake. Be sure to save the PDF for offline viewing! Happy Fishing. We’ve now added 90 boat launch sites to the iFish USA App in the state of Oklahoma. Remember, when fishing any lake, feel free to add the boat launches in using the HotSpot Tool Maker. Happy Fishing! 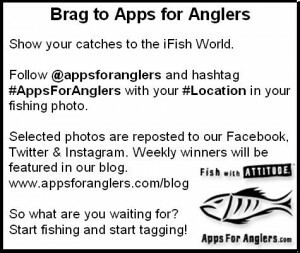 We’ve been getting our Instagram followers to tag #AppsForAnglers in their fishing photos & have been getting a great response. This week we’ve chose this photo to feature in our blog! Thanks to @bassmaster_salad for the winning photo this week! 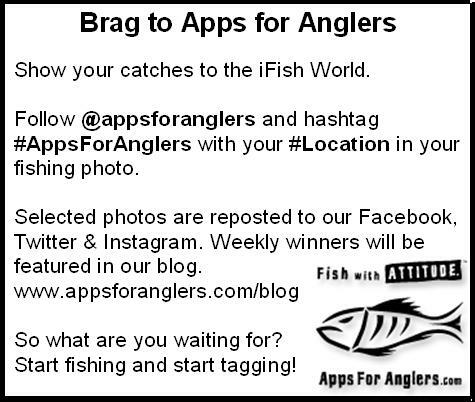 This will be an ongoing thing, so feel free to tag your photos #AppsForAnglers and we might feature you! This weekend only we have the iFish Texas App on sale – 40% off in the App Store! The iFish Texas App has over 8000 lakes, ponds and reservoirs for you to add lake reports, view and add HotSpots & much more. Get it this weekend! Happy Fishing! We will be featuring a weekly photo here on our blog! Happy Fishing! We’ve added 100 Boat Launches into the iFish USA App to various Michigan Lakes. Remember, when fishing a lake, you can add in the boat launches in yourself by using the Blue HotSpot Marker. Happy Fishing!